There’s nothing like an impromptu road-trip to discover yet another Victorian wine region where you also end up making friends with beer. When your accommodation is a romantic middle-of-nowhere glampsite complete with natural beauty and wildlife, where you can still be in time for dinner at a city-quality restaurant in just 20 minutes, it kinda feels like you’ve hit the adventure jackpot. This was our experience when we headed for Glenrowan this weekend. Right now until the 18th of May you can stay at the Winton Wetlands (just over 2 hours from Melbourne, in Victoria’s North East, at the Mokoan Flash Tents camp, in luxury canvas tents, each complete with king-sized bed covered in soft warm fluffy doona, solar lamp, deck chairs, gorgeous Biology toiletries and extra rugs for added warmth, for just $150 (for 2 ppl). The campsite features a generator-powered hot shower, toilets, picnic tables, bikes, and a fire (wood provided). A spectacular location and photographer’s paradise, activities at the Wetlands include walking, bike riding, bird watching, canoing and star gazing. Incredible natural beauty, year round. 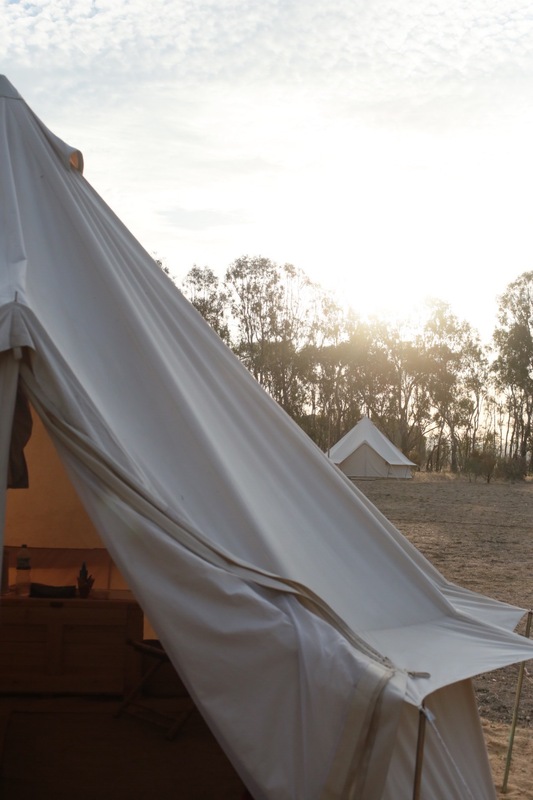 A stone’s throw from the camp is the Glenrowan wine region, where you’ll find deep, plummy shiraz, and dark berry durif, as well as some fantastic fortified and even a few good whites. 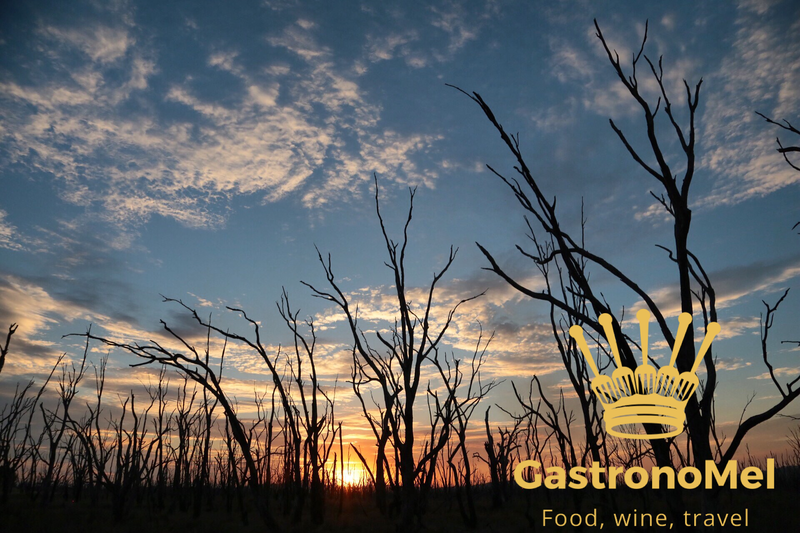 Wangaratta and Benalla are both close by (roughly 20-25 minutes) so if you’re looking for either breakfast or dinner options, you’ll be spoilt for choice. We love Cafe The PreVue, Cafe DeRailleur or the newly opened Bertsy & Co for brunch or coffee, and for the classic Italian cucina experience you can’t go past Rinaldo’s for dinner. Baileys also do a mean wood-fired pizza, as well as antipastos and cheeses at the Old Block Cafe, nestled amidst a gorgeous old garden. Just up the road is Taminick Cellars where James Booth is continuing over 100 years of family winemaking tradition, producing Rose, Nero D’Avola, Shiraz and Durif. In 2011 he opened the Black Dog Brewery on site, hand-crafting small-batch, preservative-free beers from premium malted barley, hops and yeast strains with pure Warby Ranges water. For a non-beer drinker I was pretty taken with the ‘Saison’! We picked up both the Shiraz and Durif, as well as a 6 pack of beers to enjoy at home. Auldstone Cellars is also close by so we dropped in to have a chat with Nancy. As well as reds, Auldstone are producing some award-winning chardonnay and riesling. We even bagged 1989 (yep, you read that right) aged riesling that we opened when we got home and it took a few hours to wipe the smile off my face. Oh yeah. Next time we’ll go back and visit Morrisons Winery which we just couldn’t fit in on the day. If you’re camping, make sure you leave plenty of time for exploring the wetlands, just remember to pack a portable phone charger since there’s no electricity (although perfect phone/data reception to share your sunset pics on Insta!) and just revel in the sensation of being woken up by the birds instead of an alarm clock. Looks amazing! Both Booths and Baileys have always been favourite places to visit.